Anna had it all: popularity, a circle of obedient minions, the right body, job and clothes, while gallivanting through the hottest spots of New York City. But when she accidentally fell in love, got married, and had a baby, the world as she had known it ceased to exist. Ben also had it all: He was single, had (almost) doctor status, a luxury car, a bachelor pad, and women as far as the eye could see. But when he accidentally fell in love, got married, and had a baby, his world fell apart. Together, growing discontent in their new life and each seeking a part of their old self, they make the move over the George Washington Bridge to New Jersey. But complete lack of communication and self-awareness leads them down a very slippery slope into the insanity of suburban life. Will Anna and Ben be able to make it through the craziness that awaits them on the other side of the GW Bridge? Or will they slowly spiral away from each other into the abyss of uncharted waters? 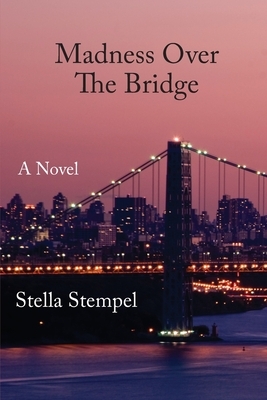 Stella Stempel was born and raised in Tashkent, the capital of Central Asian country Uzbekistan. She moved to New York when she was 15 and was forced to pursue a medical career by the two people who were providing for her (a.k.a. parents). She resisted to the best of her abilities, but ended up in Optometry school, which she quickly realized was not the field for her. After earning a Masters Degree in Social Work from NYU, she accidentally found a true passion for writing. Though she will forever be a New York girl at heart, she now resides in New Jersey with her son.